At The Royal Castle Hotel, we’ve taken the vibrant spirit of Negombo and made it yours. 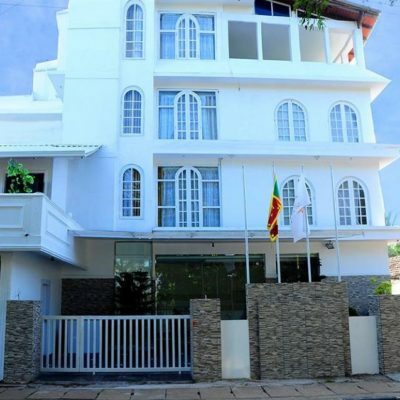 This pulsating small luxury hotel in Negombo is located most conveniently in the heart of tourism resort, The Royal Castle Hotel is a fifteen~minute drive from the Katunayake international airport of Sir Lanka, and a stone’s throw away from the all main Negombo tourism attractions, railway station and other local transport facilities. What‘s more, its proximity to the sunny beaches, entertainments, market and commercial areas make it an ideal option for tourists and business travellers alike. Warm sea, golden beaches, serene lagoon, gentle people, colonial architectural personality, grand Ancient churches, vivid social mosque, traditional fishing Community and dynamic city character create the unique tourism destination called Negombo in Sri Lanka. Negombo is about 2 meters above sea level, and Negombo’s geography is a mix of land and water. The Dutch canal flows in the heart of the city. The lagoon is one of the most scenic landmarks of Negombo. A very good hotel with excellent location and an extremely friendly an helpful staff.The rooms are super nice. I highly recommend this hotel to everybody. 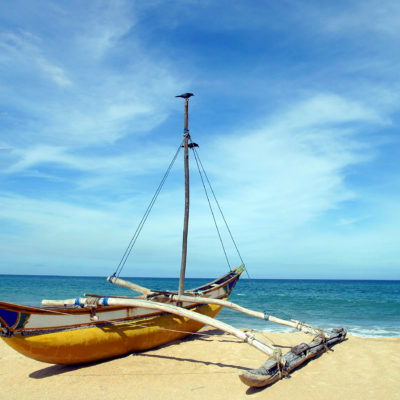 Negombo is a perfect place to star and end your holiday in Sri Lanka. European type hotel with the usual room facilities; hair dryer, decent shower, TV, wifi, tea & coffee. Slightly soulless but fine just for a couple of nights when we first arrived in Sri Lanka & the 24 hour reception was a bonus too as our flight was delayed. The rooftop pool is great & we had it to ourselves. Negombo beach with bars & restaurants 30 second walk across the road. By no means total luxury but was perfect for what we waned. We spent two days at this hotel, both at the beginning and at the end of our 25 day holiday, and found this was the best hotel that we had stayed at in terms of comfort and value for money. We liked the fact that this was not a large hotel and enjoyed the quiet.